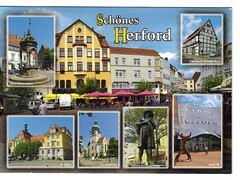 A Postcrossing postcard from Eva in the north-west of Germany. In the picture with the yellow building and red umbrella’s you can see Eva’s favourite bar, “Almundo”. 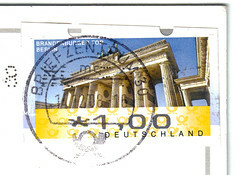 That’s a lovely stamp of the Brandenburg Gate on the reverse too.